Cee’s topic makes me think. What is beautiful to me, really? I thought… maybe by looking through some photos, I would figure it out. But after 20, I was still not sure. Then I saw this photo. I remember how I must take a picture of it before moving forward. Everything is beautiful in its own way. This entry was posted in Cee’s Black & White Challenge, photo, photo and thoughts. Bookmark the permalink. Hi Helen, I know this was a hard topic, at least it was for me. Because I think we think alike. It all depends on my mood or time of day, or what I look at….I think you get the idea. 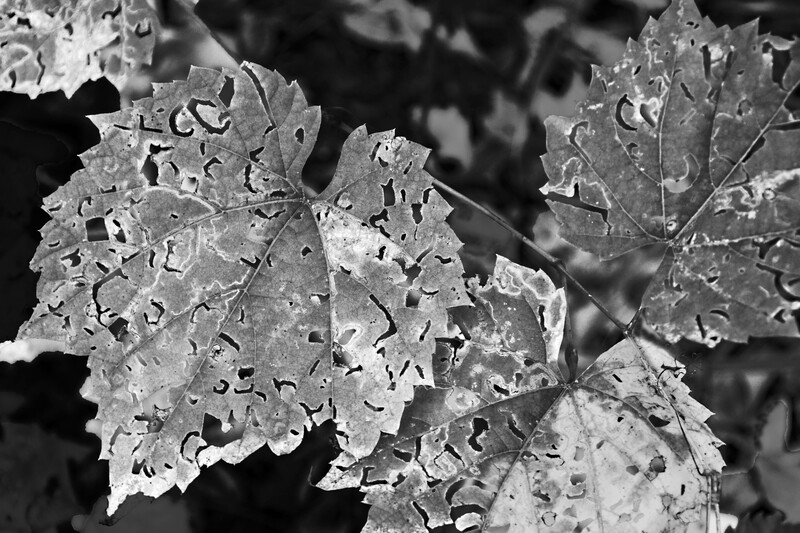 Your leaf is beautiful, the texture really comes out in black and white. Lace! This looks like lace to me. And these are beautiful, Helen! Those lace-like leaves are indeed beautiful – as is the photo having captured the delicate patterns. That is truly an amazing photo….I see why you found it beautiful! Helen, you are truly amazing.